The Exploration Corps serves as both an archaeological and research branch of the Jedi Service Corps; this is maintained by the Jedi Order and overseen by the High Council. In the past, the Exploration Corps held bases on nearly every Regional Depot throughout the galaxy and also had a long history of uncovering ancient civilizations and finding new ones. The Alacrity presently serves as a flagship to a slowly expanding fleet of exploration vessels. 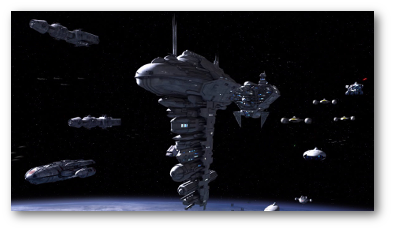 By 352.01 ABY, it is predicted that the fleet will be comprised of at least twelve modern Colonizer-Class Praxeum ships.